Can You Get Warm IT Leads From IT Lead Generation Companies? If anything, the one thing that many of you entrepreneurs would agree about is the fact that the IT industry can be a very competitive business. To tell the truth, there are just too many of you offering the same IT service in the information technology market. What makes the problem even more complicated is the fact that more and more IT companies are joining the trend. The rewards are just too much for a businessman like you to pass up. It will be nice to find an alternative solution, right? Now, this calls for quality IT leads. Using technology leads has been proven to be a very powerful tool for you and your business to gain a lead over your competition. It can be used to improve your image in the market you serve. It can also be handy in finding new business opportunities you can follow up. This is a good investment you should try. In the sales operation of your information technology firm, IT lead generation agencies plays a crucial part in your profits. Such B2B leads are necessary in improving your businesses goal of earning profits from your sales campaign. Take note that lead generation firms are ideal for your sales campaign. They have the skills in delivering the needed sales leads for your sales operation. And they usually succeed. No matter how difficult your market is, or how many your competitors are, a reliable lead generation services provider can still deliver. Nothing beats the IT leads they deliver. What makes all this possible lies in your outsourcing the job to the correct lead generation service provider. This is actually the tricky part. If you do not get the right IT leads provider to generate IT leads. Then it will be a recipe for a business disaster. The next reason why your information technology firm might want to work with a lead generation agency is speed. It is tough to be in business. This is the reason why you should outsource so that you can get the best leads at the fastest time. Simply put, business is a costly race. The firm that gets B2B leads first earns the most. Lastly, and perhaps importantly, would be cost. Will you invest in a method that will be costly, and with returns that will take a long time to come? I don’t think you would. An IT lead generation agency can usually give you the best sales leads at the least cost. Although they may seem expensive at the start, but the rewards it brings quickly can make up for the initial cost. All this is possible thanks to improvements in modern telemarketing methodologies. 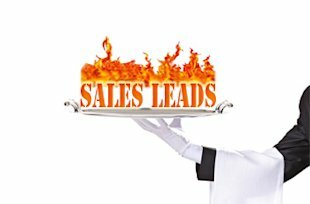 The sales leads they produce are simply the best. Whether in the short run or in the long run, working with a lead generation services provider can actually give your firm amazing results. All that you need to do is to look for the right firm to work with. There are so many of them around the world. Of course, there is only one that will be your match. Why Use Web Based Point-Of-Sale?